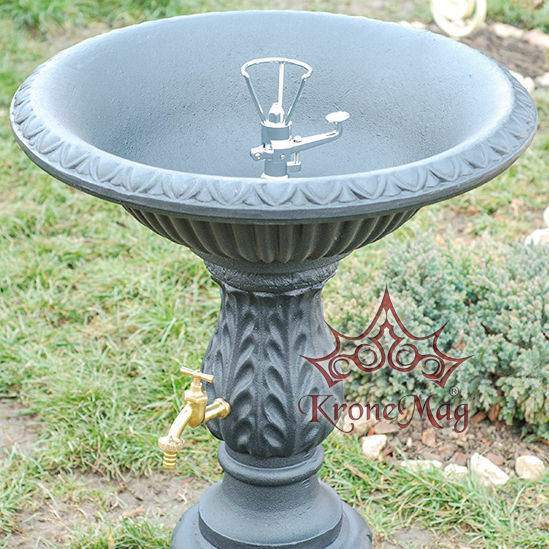 The outdoor drinking fountain is powder coated. The coating is applied electrostatically and is then cured under heat. 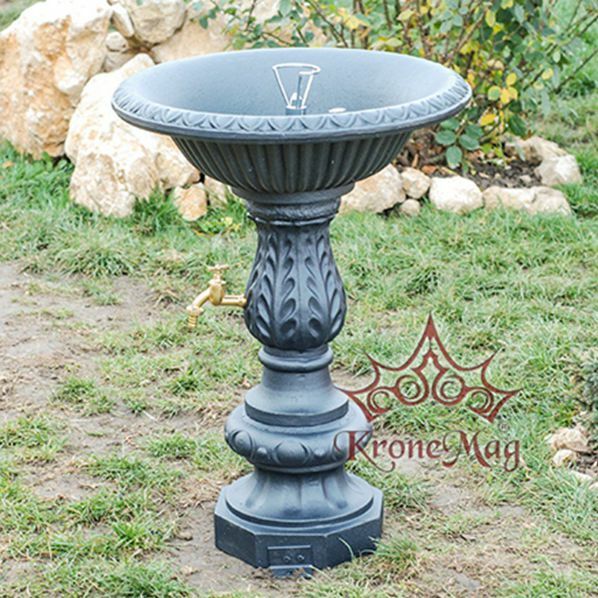 It is used to create a hard finish that is tougher than conventional paint, which gives the fountain a higher resistance over time. The street drinking fountain has to be fixed on a concrete support. The drinking fountain is fixed by the two "ears"at the base of the fountain.